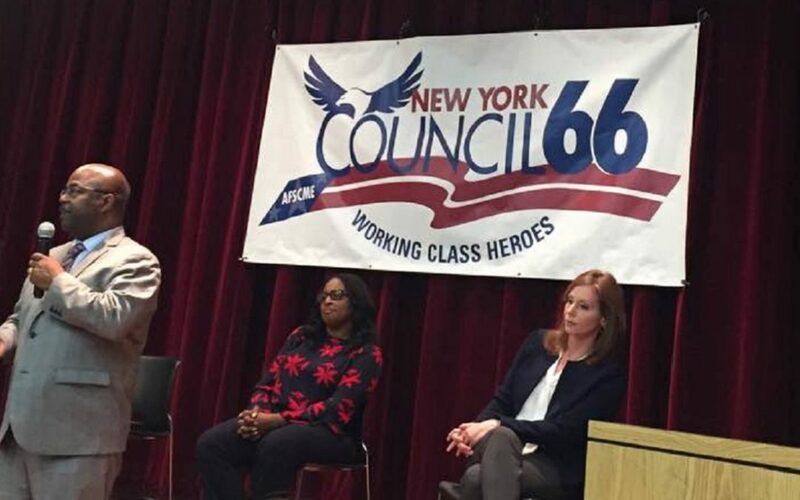 In the first citywide mayoral candidates forum since the conclusion of the Democratic Party’s designation process, the members of Council 66 affiliates BENTE/AFSCME Local 2419 and AFSCME Local 1635 hosted the top three candidates for Mayor of Rochester to discuss their vision for the future of the city. The Mayor of Rochester Candidates Forum was held on the evening of Thursday, June 8th at East High School. At the forum, candidates were asked about their stance on issues ranging from mayoral control of the city school district, the state constitutional convention that will be on the ballot in November, and economic growth that benefits hardworking families in the Rochester area. The event was covered by Spectrum News, City Newspaper, and Minority Reporter.